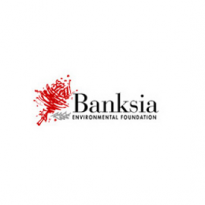 The Banksia Foundation is a not-for-profit organisation that has been operating since 1988 to inspire sustainable development through positive reinforcement. The Foundation’s leading program is the Banksia Sustainability Awards that recognise Australia’s innovative examples of sustainable research, practices and services. Through its 21 categories they are able to seek out Australia’s inspirational case-studies and promote throughout Australia. Enabling organisations to see the benefits and positive outcomes in adopting a sustainable path to ensure a healthy environment for our future generations.